When it comes to keto, jam definitely isn’t the first thing that pops into your head. But, making some new sweet sauces can definitely be within your grasp. To top it all off, you can add plenty of fats to really bring the macros up to par. We use MCT Oil here because of the liquid properties that it has. When you store the jam in the fridge, it will continue to stay as a sauce and not harden up (as it would if you used coconut oil). These’s two main flavor components that I’d describe here: sweet and smokey. The sweetness of the blackberries and erythritol come through on the first flavor note, but then the subtle smokiness of the chipotle comes through. The flavors compliment each other in a delicious way that’ll have you spreading this on just about everything. 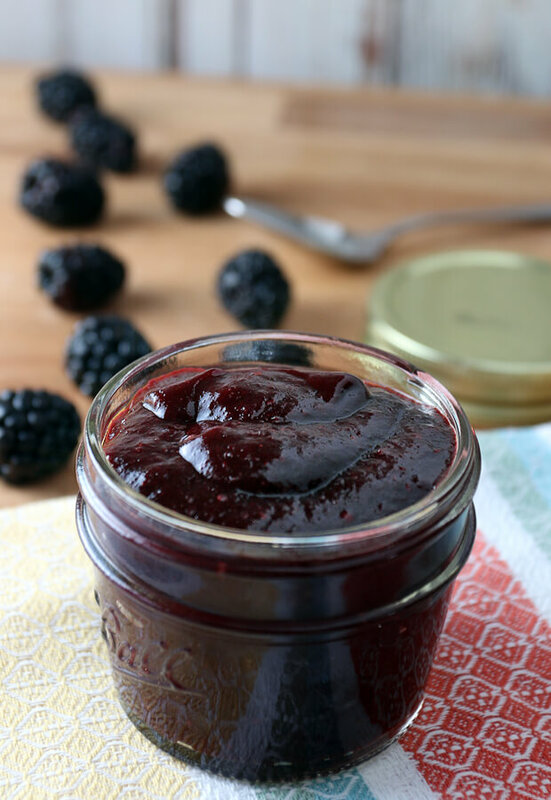 From topping a cheesecake to glazing slow roasted meats and everything in between, this jam will have a use for just about every recipe you can think of. It’s a new staple in my house and is slowly replacing the BBQ Sauce that I usually make. 1. Add blackberries to a pan over low heat. Allow them to cook slightly so that they become soft – about 5 minutes. 2. Add chipotle in adobo to the mixture. 3. 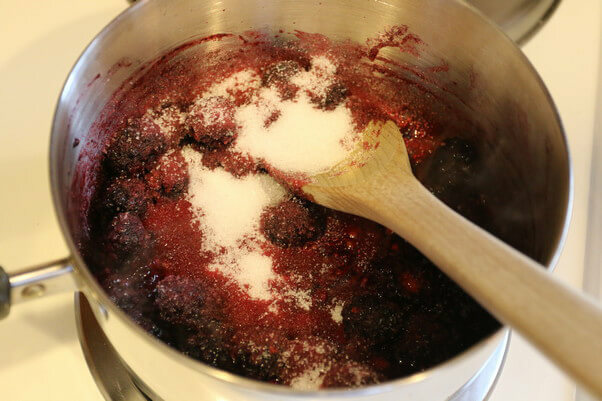 Add erythritol and stevia to the pan and mix into the blackberries. 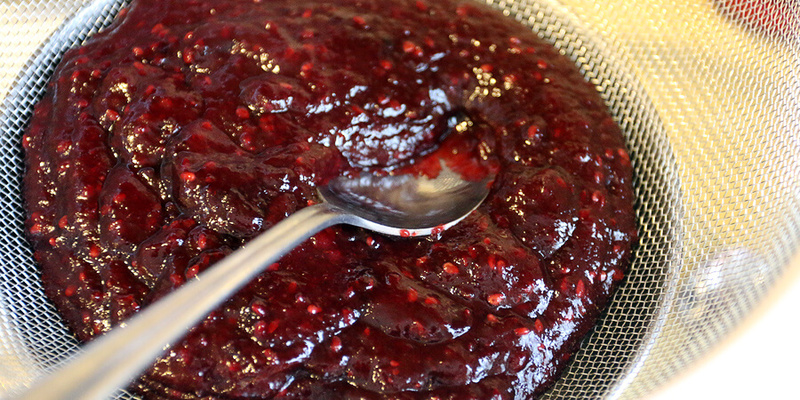 Crush blackberries using a spoon or fork and mix together again. 4. Add MCT Oil to the pan and turn heat up to medium. 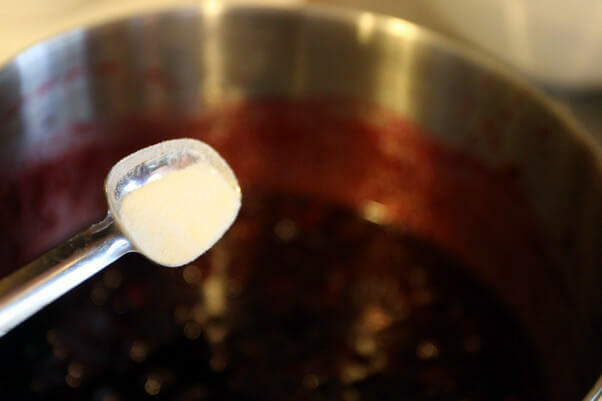 Allow the jam to boil, then reduce heat to low and simmer for 6-8 minutes. 5. Add guar gum to the jam and mix thoroughly. Continue to mix for about 1-2 minutes or until mixture thickens. 6. Strain seeds from the jam using a colander and the back of a metal spoon. Discard seeds when finished. 7. Enjoy your jam! Spread it on just about everything to add a delicious new flavor component. This makes a total of 10 tbsp. 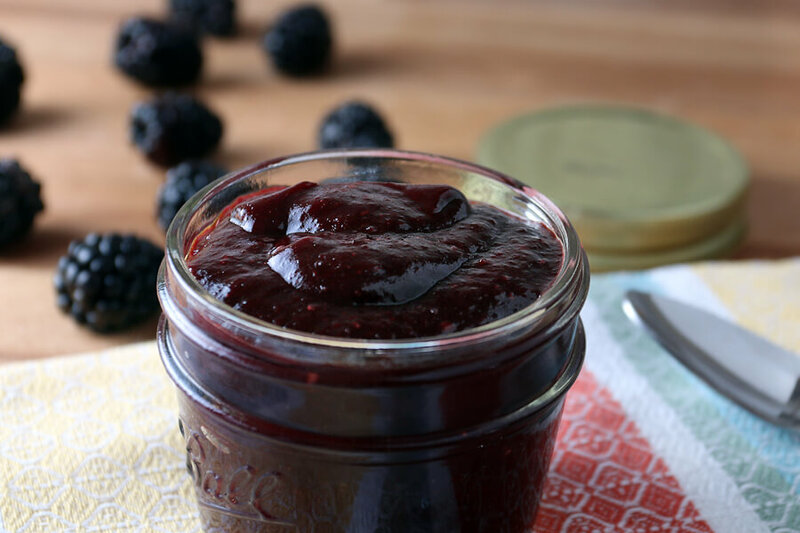 of Low Carb Blackberry Chipotle Jam. Each tablespoon comes out to be 50.9 Calories, 4.31g Fats, 1.17g Net Carbs, and 0.32g Protein. 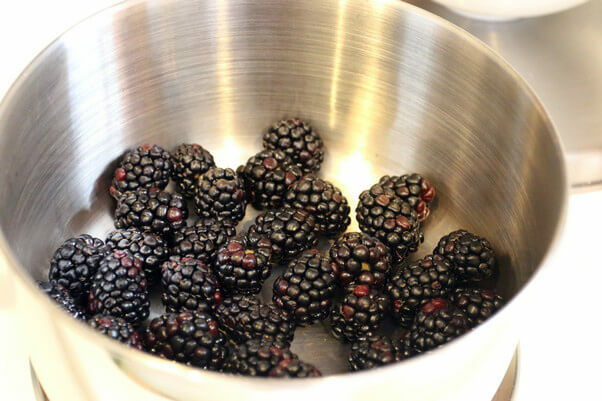 Add blackberries to a pan over low heat. Cook until soft. Add chipotle in adobo, Erythritol, and Liquid Stevia to the mixture. 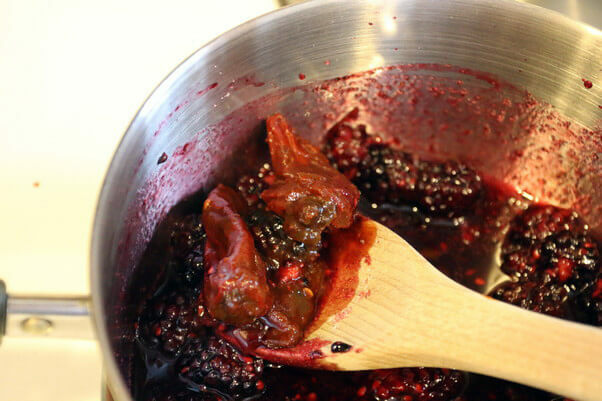 Crush blackberries using a spoon or fork and mix together again. Add MCT Oil and turn heat up to medium. 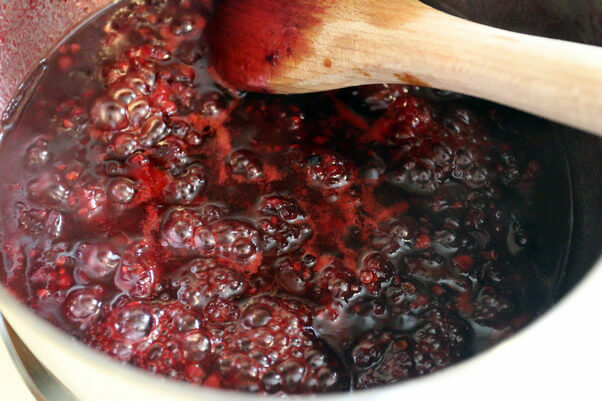 Allow the jam to boil, then reduce heat to low and simmer for 6-8 minutes. 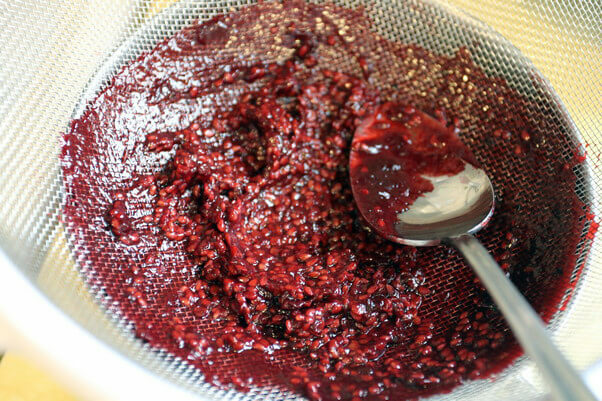 Add Guar Gum to the jam and mix thoroughly. Strain seeds from the jam using a colander and the back of a metal spoon.